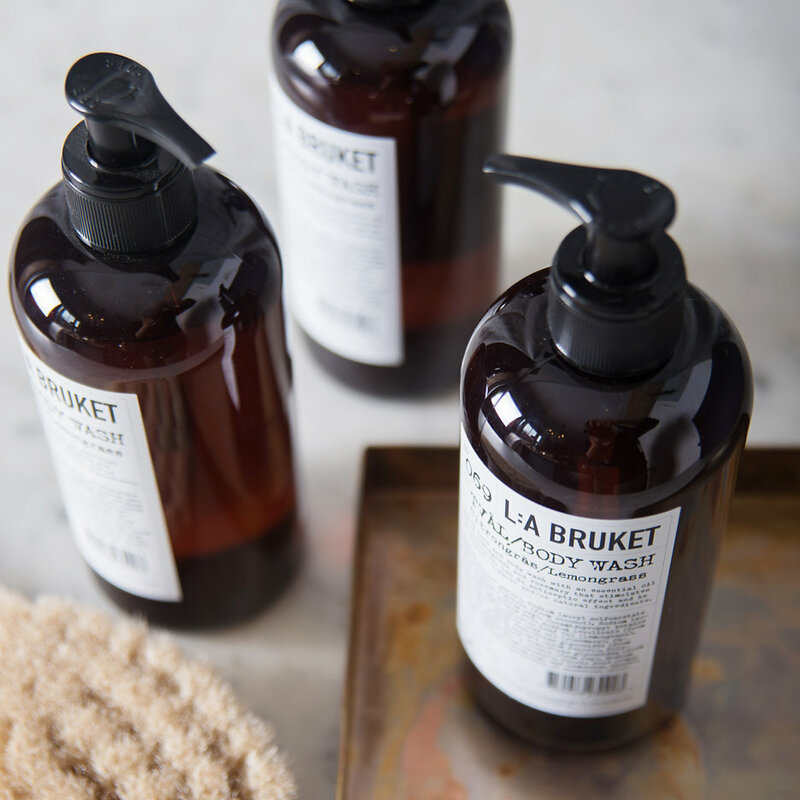 Made in Sweden, L:A Bruket have created a fabulous and natural skincare range that is tried, tested and loved by us at The Gilded Cabinet as well as hunky Swedish fishermen! 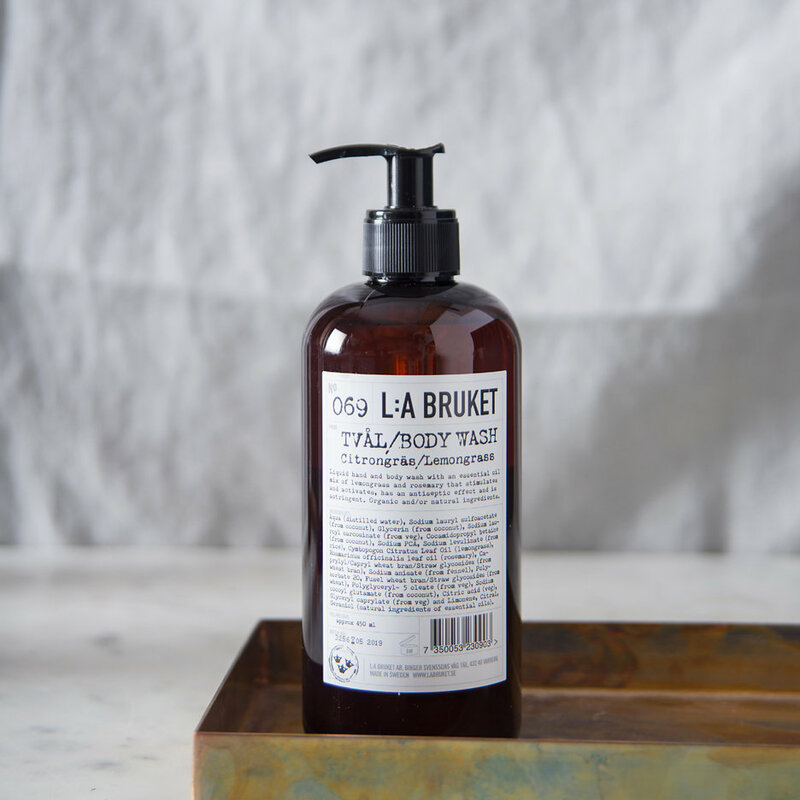 This highly moisturising liquid hand and body wash will leave you feeling revitalized and restored. Organic essential oil from lemongrass, has active and stimulating properties which makes it especially suited for oily skin. 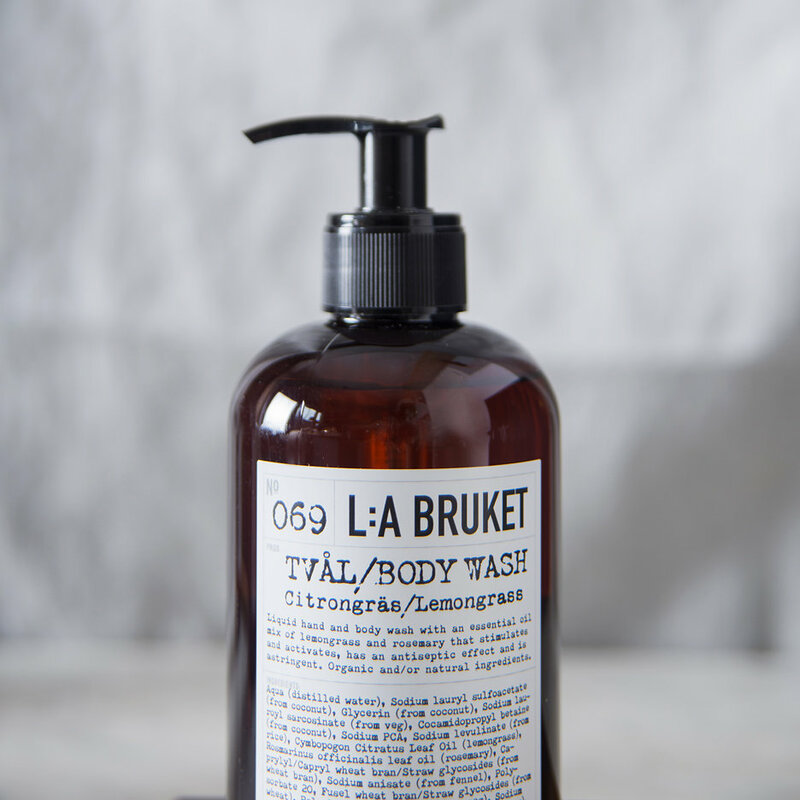 A lovely present paired up with our Iris Hantverk body brushes. 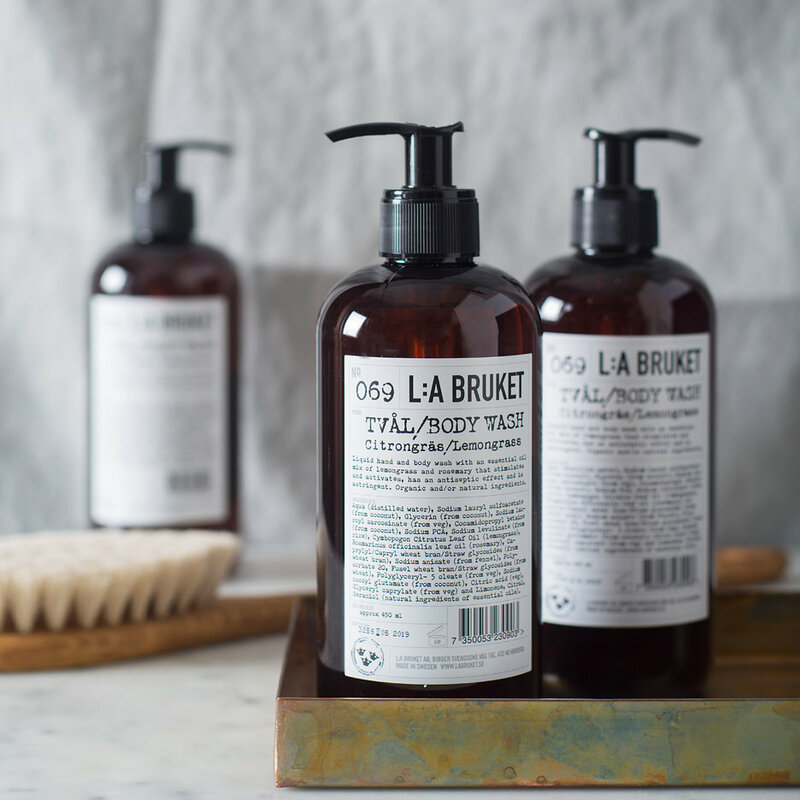 With a respect for nature and taking inspiration from the coastal way of life, the beautifully scented skincare products have been crafted from the finest organic or natural ingredients using ‘low tech’ methods to help you maintain healthy and beautiful skin. These are spa-like treatments that you will fall in love with.